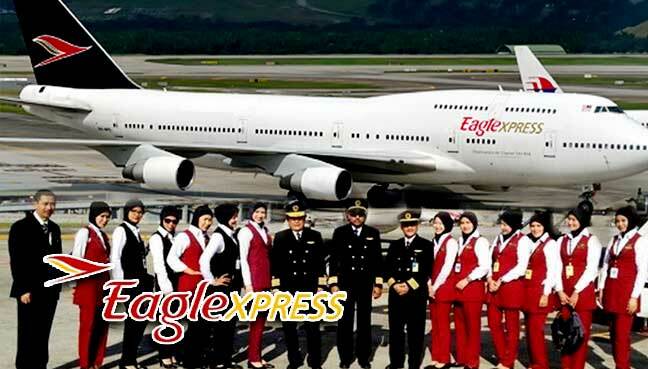 PETALING JAYA: Eaglexpressair Charter (Eaglexpressair) has dismissed allegations that it did not pay its employees for the past three months, insisting that it has done so despite having no business since early this year. Speaking to FMT, a spokesman said that the airlines had been digging into their reserves to pay their staff and many of its other “parties” as well. “It was the last two months that we couldn’t pay them full salaries. Instead, we have been paying them some form of allowances for those who requested,” the spokesman said, adding this included those in the top management as well. Earlier today, mStar Online reported that a source claimed 300 staff of a charter airline company had not received salaries for three months. Meanwhile, the Eaglexpressair spokesman went on to explain that the reason behind its financial uncertainty previously was due to the lack of the IATA Operational Safety Audit (IOSA) certificate. This led to a loss of temporary income for the company as their core business dealt with Muslim pilgrims going to Mecca. An IOSA certificate will allow a chartered airline to fly to Saudi Arabia. Currently, it is one of the requirements to operate flights to the Holy land under Saudi Arabian airlines (Saudia). The spokesman said that despite the setback, the airline had recently obtained the IOSA certificate, and expressed confidence that its operations will be back to normal. “Now, the business is back to us. It is only us and Malaysia Airlines Berhad (MAB) who are operating the Hajj programme. However, now we are the prime operators for Saudia and Saudi National Airlines (NAS). “One hundred and twenty-six of our people are going to be positioned in Jeddah this week and once our business resumes, there will be no more issue,” the spokesman said, referring to Eaglexpressair’s financial woes. He also said that its staff members will be able to get their full salaries soon. A source close to the company had earlier told FMT that approximately 300 crew members had not received their salaries and benefits since March this year. “We are not talking about a month’s salary, but a few months’ salaries. “Our salaries for March, April and May have not been fully paid. We have sent the management countless emails,” the source said. According to an internal email sent to its staff members, the management said that staff members can request for partial payment of their salaries, where it is evaluated on a case-by-case basis. The email also noted that the company will pay the staff their salaries, and not the full amount sought by the staff, only if it has the capacity to do so. 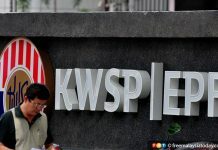 Apart from unpaid salaries, the company is also being accused of withholding staff benefits, such as the EPF and Socso payments, for many months. “The EPF payments were deducted from our salaries but it was not credited into our accounts. 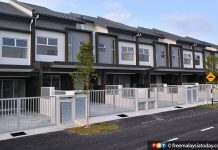 “There is also an ongoing investigation by the EPF by asking all payslips from the company,” the source said and added that a report has already been filed with the EPF. Its crew members are also said to be facing serious financial problems. “We are really stretching out our finances. My friend even sold his car just to support himself,” the source alleged. Eaglexpressair is the second local airline to be hit with financial troubles. 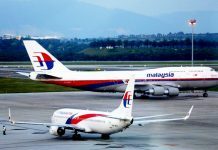 Earlier this month, the Malaysian Aviation Commission (Mavcom) announced it had revoked Rayani Air’s Air Service Licence (ASL) as the airline had breached the conditions of its ASL and lacked the financial and management capacity to continue operating as a commercial airline.